Whether known as big data, data analytics, data mining, machine learning, cognitive computing, or artificial intelligence (AI), data science is a hot topic. IBM, Microsoft, Google, and others offer a variety of powerful development tools, platforms, and services for IT organizations to incorporate these capabilities into the applications portfolio. Think of the recommendation engines for Amazon and Netflix, or the analytics capabilities of Caterpillar or John Deere to predict equipment failure and schedule preventive maintenance. But for the vast majority of organizations that do not want to, or need to, develop custom applications, there is another emerging trend. Commercial software providers are embedding sophisticated analytical capabilities into packaged software and services. These are not general tool sets that IT organizations use to extend legacy systems. These are applications of data science embedded into off-the-shelf in business systems. Human Capital Management (HCM) is turning out to be fertile ground for providers to develop use cases for data science. The recent HR Technology conference (HRTech) in Chicago provided an excellent opportunity for us to learn about the offerings of six such providers. ADP is one of the world’s largest providers of HCM systems, which puts it in a strong position to aggregate customer data for big data analytics. For example, with its ADP Benchmarking solution it can calculate an attrition risk indicator for each employee, based on its observations across many companies. It also applies big data analytics in other areas, such as gender pay equity, which is possible because ADP is investing in normalization of job titles across its large installed base. ADP is rolling out these benchmarking services first in the U.S. and then in other countries where there are similar national debates about pay equity, such as Canada and the U.K. The size and scale of ADP’s data sets will make these applications an interesting case study for what is possible with big data analytics in HCM. Anaplan is one of the newer cloud providers of corporate planning and performance management, with analytics for finance, HR, sales, marketing, supply chain, and IT. 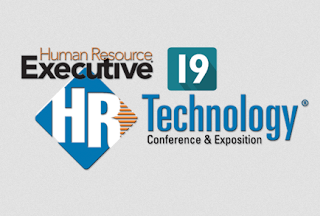 At HRTech, its workforce planning and optimization solution took center stage. For example, in the hospitality industry, a user might ask, how long are the wait times in our Chicago hotel? How does that correlate with customer surveys for that hotel? A U.S. fast food chain client might ask, what is the optimal schedule for our hourly workforce to ensure optimal service levels for anticipated customer volumes by time of day? These are questions that Anaplan can answer with its embedded analytics, out of the box. Entelo is a provider of tools for recruiters, and its products are packed with applications of data science. Because the hottest job candidates often have job offers within days or even hours of announcing their resignation, Entelo is focused on finding those candidates before they are officially on the job market. One way it does this is by allowing recruiters to monitor job board and discussion forums to identify the most qualified individuals that are likely to be looking for a new job opportunity. Moreover, the system also predicts the type of employer the individual is most likely find attractive, so that a recruiter for a high-tech start-up, say, is not chasing candidates that will probably want to work for large established companies. Although in the early days, Entelo only looked at simple signals, such as whether an individual had recently updated his or her social media profiles. But the capabilities are now becoming more sophisticated. Recruiters can now use Entelo’s platform to send messages and then look at open rates and click through activity. The system also applies machine learning to find other individuals similar to those who are responding well to the recruiter’s opportunity. Infor is the third-largest enterprise software provider globally with a diverse portfolio, and it is bringing behavior science into each of its products. In our briefing with Jill Strange, Infor’s director of HCM Behavior Science, we heard about Infor’s strategy to use predictive analytics to mitigate employee attrition. Moreover, Infor recently acquired PeopleAnswers (now Infor Talent Science) to apply behavioral science to the recruiting side of HCM. For example, based on a customer’s key performance indicators for its sales force, Infor will be able to use candidate pre-employment assessments to predict which candidates for sales jobs are likely to be most successful. SMDhr is a long-standing provider of employee assessments, such as engagement surveys, onboarding surveys, and exit surveys. It has a particularly strong presence in healthcare and retail. Its work with many customers over the years has allowed it to build a large database to develop algorithms correlating cause and effect. Those algorithms then can be used to correlate the customer’s survey results with the customer’s sales and productivity metrics and deliver business outcomes. For example, one goal might be to reduce voluntary turnover. Once the analytics pinpoint what is driving excessive turnover, SMDhr then serves up content and recommends actions to address those problems. The firm is so confident of its analytics, in fact, that it guarantees its work with results-based pricing. In effect, SMDhr is more than a consulting firm: it is a data science enabled service provider. SuccessFactors, now part of SAP, is a cloud provider of HCM systems, and it is actively incorporating machine learning into its offerings. For example, its learning management system can make recommendations to employees for training courses in the same way Amazon or Netflix make recommendations for books or movies. Another interesting application of machine learning is in detecting gender bias in an organization’s job descriptions. SAP’s recent acquisition of Big Data as a Service (BDaaS) provider, Altiscale, will help SuccessFactors more easily scale these applications of machine learning to thousands of cloud tenants. There are other enterprise domains where data science is making headway, such as marketing, salesforce automation, customer service, and supply chain management. But as seen with these six providers, the HCM space may be one of the early test beds for embedding data science into business applications. Proactive approaches have rarely been created by HR or HR vendors but are badly needed. HR vendors need to do more primary research to understand WHY people leave companies not WHEN. Then, these solution designers can create employee timelines that suggest the best points when HR should be having a detailed career discussion with the employee. Again, primary research is needed to help HR figure out what and how to drive that conversation so that the employee stays motivated and remains with the company. In a retail organization, minimizing inventory shrinkage (i.e. theft) is a major driver of profitability. Which job candidates are most likely to act on the job in a trustworthy manner? In defense contracting, high tech, and other industries, theft of intellectual property is a huge risk. Are there any employees who are showing signs of becoming the next Edward Snowden? In healthcare, preventable medical errors are a leading cause of death. What factors drive medical mistakes, and how can we identify healthcare workers that could benefit from training to mitigate this risk? In nearly every organization, IT personnel are trusted insiders, with administrative access to highly secure systems. Are any of them at risk for becoming disgruntled? Admittedly, many of these questions raise the specter of “Big Brother,” and employees may push back if they begin to feel as if they are being profiled. But with the stakes so high, can any business leader afford to not consider tools that, properly applied, could mitigate significant risks to the business? In private conversations, some HCM providers (not necessarily the six highlighted earlier) indicate that they are thinking about how they can address these types of issues. They may not be talking about them publicly, but new applications of data science for HCM may be coming soon. Author: Frank Scavo, Strativa. Image credit: HR Technology Conference. This entry was posted in Business Process Improvement, HCM Software Selection and tagged ADP, analytics, Anaplan, artificial intelligence, Big Data, data science, Entelo, HCM, HR, HRTech, Infor, privacy, SAP, securitymachine learning, SMDhr, SuccessFactors. Bookmark the permalink. Next-Generation CRM: Who Gets There First? Feeds: RSS | RSS2 | ATOM Copyright 2001-2019, Strativa, Inc.
Strativa: a management consulting firm, headquartered in Orange County, CA. Our California consultants & other US-based consultants provide consulting services to clients throughout the world.